After decades of dramatic successes—as well as failures—the Environmental Protection Agency is changing its mission. The sprawling regulatory agency President Trump vowed to eliminate “in almost every form” is essentially a child of the ’60s. During that era, smogchoked cities and contaminated rivers and lakes made Americans increasingly anxious about pollution from emissions, industrial waste, raw sewage, and other sources. In response, President Richard Nixon—a Republican—established the EPA in 1970 and named as its first administrator William Ruckelshaus, an assistant attorney general. Until then, only the states had enforced environmental laws. “They competed with one another so fiercely for the location of industry that they weren’t very good regulators of those industries,” Ruckelshaus explains. “It was very hard to get widespread compliance.” Ruckelshaus started by trying to establish and enforce air quality standards and target major water polluters. It wasn’t until Congress passed landmark environmental legislation, however, that the EPA gained real muscle. 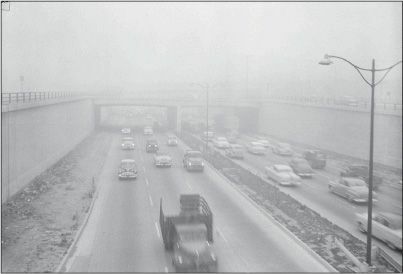 The Clean Air Act of 1963 was amended in 1970, giving the EPA broad powers to regulate emissions from smokestacks and tailpipes— by phasing out leaded gasoline, for example. In 1972, the Clean Water Act granted it similar authority over waterways and wetlands. Congress also empowered the agency to regulate pesticides and ban DDT—sprayed across the country to kill mosquitoes, but so toxic it nearly wiped out several bird species, including the bald eagle. After seeping chemicals from a toxic waste dump sickened hundreds of residents of Love Canal, N.Y., in 1978, Congress created the EPA-administered Superfund for hazardous waste cleanup. The agency’s work had a major impact on air and water quality, but its regulations proved controversial. Industries found the EPA’s regulations too complex and costly, and argued that the constant demands of federal bureaucrats for permits and clearances were killing jobs and strangling the country’s economic growth. Businesses large and small came to view the EPA as an adversary. They found an ally in President Ronald Reagan, a proponent of small government who campaigned against “environmental extremists.” Reagan “was fixated on governmental deregulation,” says environmental scholar Walter Rosenbaum, “and EPA was a favorite target.” In 1981, Reagan named Anne Gorsuch his EPA administrator. The mother of new U.S. Supreme Court Justice Neil Gorsuch, she was an outspoken agency critic who made deep cuts in the agency and invited regulated industries to rewrite rules to their liking (see box). But Gorsuch didn’t last long, and because cleaning up the environment enjoyed widespread public support, the EPA has had a major comeback under both Republican and Democratic presidents in recent decades. By and large, yes. Air pollution is down by 70 percent since the EPA was formed, and studies indicate cleaner air has saved millions of lives. The percentage of America’s polluted waterways has been cut almost in half, from two-thirds in 1970 to about 35 percent. The hole in the ozone layer is healing. Blood levels of lead—which can cause brain damage and lowered IQs—have dropped 75 percent in the U.S. public as a whole. Hundreds of Superfund sites have been cleaned up. “I think the EPA has a very good record of setting tough standards and industry meeting them,” observes Armond Cohen of the Clean Air Task Force. Much will depend on what Congress decides to do with EPA funding when it passes a budget. Trump’s original blueprint slashed the EPA by 31 percent, eliminating 50 programs. “What they’re trying to do is eviscerate the agency,” says Christine Todd Whitman, an EPA administrator under President George W. Bush. New administrator Scott Pruitt is a climate-change skeptic with ties to fossil-fuel interests, who as Oklahoma attorney general brought more than a dozen lawsuits against the EPA. After being sworn in, he told agency employees that their role was now to be “proenergy and jobs” as well as “pro-environment.” Trump has asked Pruitt to help dismantle much of President Obama’s environmental legacy: the Clean Power Plan, which promotes renewable energy and curbs greenhouse gas emissions; rules requiring cars and light trucks to average 36 miles per gallon (up from 25 mpg) by 2025; and the Clean Water Rule, which expanded the number of small streams and wetlands that qualify for federal protections. Industry groups had objected to all of these new initiatives.